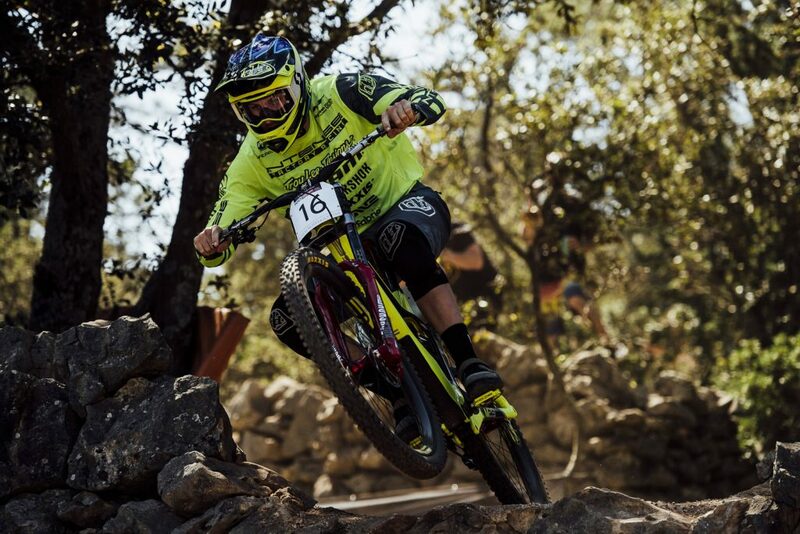 Along with fellow Aussie World Cup racers, Dean Lucas has been one of our greatest podium threats in the last couple of years, most recently taking the podium at Losinj, Croatia for Intense Factory Racing. 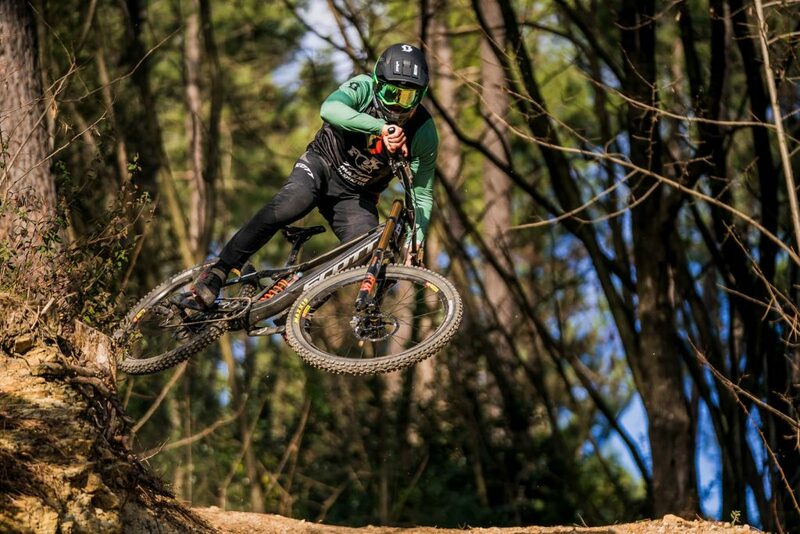 Now signed up for a new deal with Scott DH Factory team, alongside free-racer Brendan Fairclough, Reunion Island’s Flo Payet and France’s Marine Cabirou, he now has a new team, new bike, new suspension and a new focus coming into 2019. 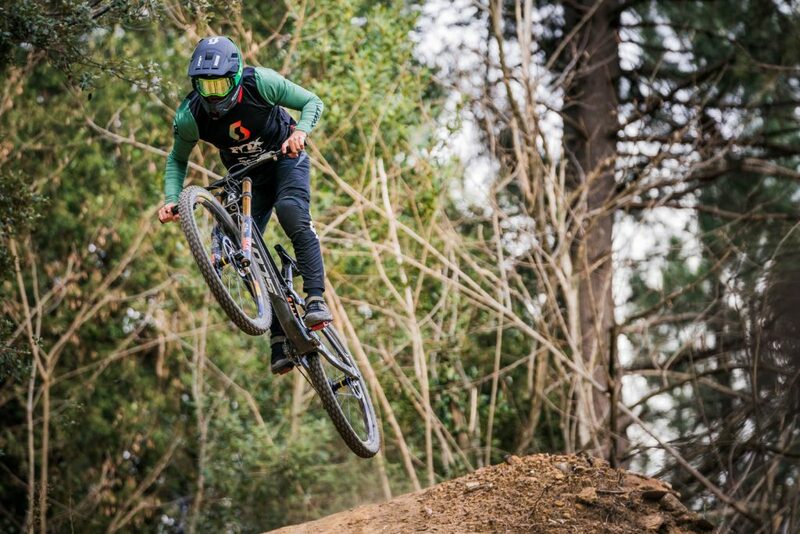 Fresh off the back of his first race in the new team colours at Mount Buller yesterday, we chatted with Dean over the phone about the upcoming year, the news, #teamrumours and being an ambassador for the sport. GDU: First of all, how did this deal with Scott come about? Dean: It all kind of started off because I obviously had a relationship with them through their goggles. At the end of 2017 we didn’t have a goggle sponsor because we’d parted ways with Von Zipper. So Intense just said you can go find whatever goggles you want. So I branched out and Scott came back and said yeah, we’ll have you on. I put it out to a few goggle companies and they were only ones to actually get back to me. Then I had a really good 2018 season. I kinda already had a good relationship with them, so at the end of 2018, they kept telling me of the possibility of going on the bike team. The same guys that deal with the goggles side at Scott also deal with the mountain bike race side of things as well so it crossed over. Cool, A handy relationship to have! Yeah Yeah, it’s such a small industry, I always think that you don’t really want to piss anyone off, as something as small as goggles might lose you a ride or gain you a ride in that regard. Obviously they liked dealing with me on the goggles and then they must have thought “We’ll work with this guy on the bike as well”. Who broke the news to you when it all was confirmed? Was it somebody in particular? I got an e-mail from the now-team manager, Patrice, who used to run Voul-Voul racing, a European Mondraker-backed team. He just approached me halfway through the season saying, “Hey we’ve got plans underway, and we can’t share too much information about it, but if your contract’s up, would you be willing to possibly ride for a new brand?”. As the season went on they released more information and it obviously came to light that it was a new Scott team. It went from there, he was the first one to get in contact with me. A bit of a while in the works which leads me to the next question… Has it been hard keeping a lid on the news with so many team rumours floating around? I’m actually quite surprised how many people knew about it (laughs). I went to Cannonball and I swear that half the people there knew about it. I hadn’t told anyone besides my close mates, but news gets out pretty quick with team rumors and stuff. I swear everyone knows about what’s going on before it actually happens. But still I think a few people kind of got surprised. I was trying to mess with people by commenting on the Trek Instagram and on other guy’s feeds that I’m not in the team with and tried to have some fun with it. I think though with something like that, some people were surprised but the majority of people in the industry knew about it before it came to light. Yeah I was just trying to stir everyone up as much as I could. Which, I think it feels like the only time of year you can do it. I had some fun with it but it doesn’t really bother anyone and keeps people guessing. I was quite surprised, I jumped on (Vital) Team Rumours and the amount of investigation some people were doing, some of these people could probably be detectives! I put up a photo and covered their face, and they’re finding their shoes on Google and finding that Brendan wears those shoes doesn’t he, that must be him! It’s cool but it’s weird at the same time that there’s so much interest in it, it’s just funny to see. I thought the sleuths reckoned it was actually Flo wearing Brendan’s jacket wasn’t it? No, it was Brendan, and they’ve gone and googled all this stuff, they get Brendan’s shoes and screenshot them in there, put it all together. You can’t help but say f**k, it’s cool you’re interested in it and at the same time, damn. I don’t think you need to get that involved. I guess with mountain biking it’s a lot more interesting than say motocross news, as all the new signings there happen straight away and there’s not really that much build up, but with us I guess there is way more hype around it, it’s kind of last minute, which is cool. Yeah, that’s right and now we’ve got that delay between January 15 (UCI team deadline) and when it actually gets released. Yeah yeah. I think it all builds suspense and I think it’s a good thing. So now that everything is dropped, how does it feel to be on the team with Brendan Fairclough and the rest of the crew? It’s good, I’ve known Brendan pretty well. I’ve seen him around at the races. I haven’t seen Flo and Marine as much, but Flo’s really chilled and relaxed. Everyone’s really easy to get along with and once you’ve had a slight relationship with someone it makes it easier to join the team. It’s not like getting along with a complete stranger. So I was only over there for a week we all already knew each other and all gelled pretty quickly which was good. I think I can work on my French a little bit and ‘cos its pretty much a French team on one side. I wouldn’t really call it a downfall but a small obstacle, hopefully by the end of the season I can speak some French. Yeah I got a translation app for my phone, I’ve been practicing but I’m not very good at it. Hopefully, by the end of the year I pick some up. So, whereabouts was the team camp and what did you get up to over there? It was at the bottom of France, it’s called Nîmes, near there. We went over there for four days, two days of that is filming and photos and then two days of testing with Fox and testing in general. Played around with the bike in the first couple of days and it was a bit slower as we kept on riding, stop, backup for the photo shoot and it was quite hard because it is so cold. Literally, one degree and we take off our jackets, do the shoot, put them straight back, pretty much doing that all day which is pretty full on. It’s always hard testing everything because of the cold, all the suspension is slower and stiffer. So we did all the testing and setup the bike to be good there, then get back to Australia and it’s 40 degrees and everything felt soft because the oil’s a lot thinner. It was good and bad. I got a good feel for it over there. We had to change a few things but I think it’s in a pretty good spot now. Did it all have a different feeling to the Intense team camps? Definitely going to Europe was a lot different. The cold was the biggest difference, also it was a bit more serious than the past camps at Intense where there was more of a feeling of fun and, what’s the word, flamboyant in how they do and present everything which is definitely cool. This was a bit more serious and just straight to the point and get the bikes straight out and all of that which is also good. But definitely, there’s two different teams. How does it feel leaving Intense after three years there? I was quite sad to leave actually. It was quite a family there. I didn’t it wasn’t my first intention to leave but after I got my Scott offer I went back to them with the offer but they didn’t quite match it. But I wanted to stay so I weighed it up, anyway Scott came back after that and they upped the offer and threw in a few other changes including being able to have my own personal mechanic. Out of that, I was fortunate enough to get Darcy Wilkinson, who’s actually the guy that got me into racing in the first place and I’ve been mates with him since I was in primary school. They came back with a few other little things, videos and goggles and whatnot. I kind of couldn’t refuse. Intense came back and said that was the best they could do. It was a really hard decision but I think it was best for me and I ended up parting ways. Hard because it wasn’t all business at Intense. Definitely became more of a family and friends thing so when you leave something like that there’s some hard feelings. I think they, especially Jenn the part-owner, definitely I think took it to heart. It took her a while to get over it, which definitely made it a harder decision to leave. But I believe that in the long run i’ve made the better decision. It definitely wasn’t an easy choice to make it all. Everyone’s got the idea that they just got rid of me and Chuck to make room for Gwin. I think that was the impression that a lot of people have from the way it’s played out. That’s what everyone thinks and it was actually the complete opposite. Me and Chuck actually left and then he came into the picture afterwards. So yeah, it is quite different what people who’ve watched it might think. It’d be a good thing for people to know how it actually went down. Definitely, it’s interesting to know that there was an option of you actually staying there, it just wasn’t quite the right fit for the time. You know, the thing was that they wanted me to stay. I did want to stay, it just became that way. Scott came and made an offer and could do things that Intense couldn’t do. It was a better way to go at the time. But yeah, definitely not what I wanted to do at first, I made it clear that I wanted to stay. Made it very clear to them, but I think they might still think I wanted to leave anyway but that was not the case. Just the way it ended up going. You just never really know how things are going to play out sometimes. Yeah, that’s the thing. I think it’s worked out well and I think I’m pretty confident with the new bike that things are going to be good. You’re on the new Carbon frame Gambler and the Gambler looks a little bit more traditional than we’ve seen before. How’s it going so far? It honestly took awhile to get it all set up properly but that was mainly because it was new wheels, new brakes, new suspension, new frame, new everything kind of thing. So new bars, new seats and everything. So for me it took a little bit of time to get used to. Like with the Fox suspension, just to try and set it up is a lot different, the air pressure the adjustments are all different. So I’ve been on SRAM for the last eight years I think, so go to back to Fox and get used to that was a bit of jump. But already especially having Darcy at races makes it easy to kind of track everything takes some of the guessing out of it. He’s got it all written down and sorted, he’ll help to play around with it. That makes the process a bit easier but straight away at Buller a few things needed a tweak but I feel it’s in a good spot now. And he’ll be following you around for the World Cup as well won’t he? It’ll be good to have a familiar face in the pits working to get things done won’t it. Yeah he’ll be at every World Cup and every Crankworx as well. 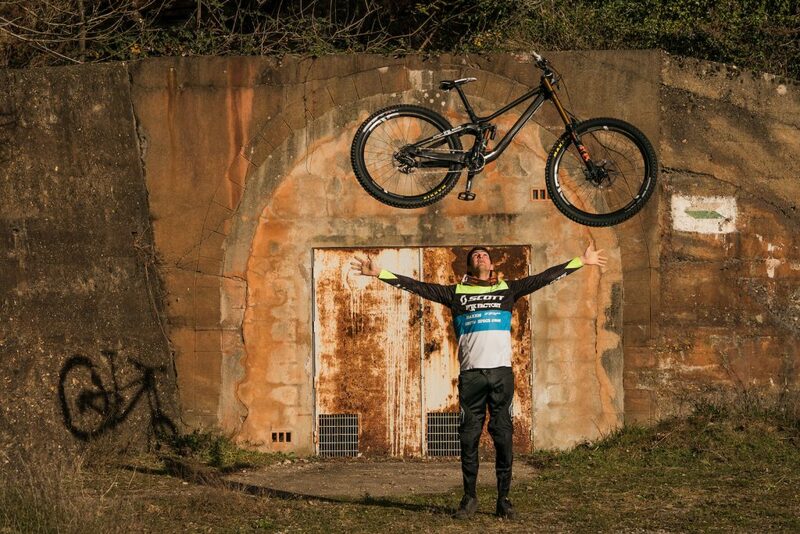 Rotorua (Crankworx) is the next big one in March. I’ll be going to all of them and like you say, to have someone you’re so familiar with and trust, it just makes it a bit easier and more homely as well, I guess. He’s obviously got so much from my home town with me overseas, it makes it feel more homely, makes it a bit easier and makes the trips feel a bit shorter than they are. There’s a couple of new things for him to get on top of on the bike isn’t there, looks like TRP drivetrain and brakes? TRP brakes, derailleur and shifter so far. It’s all being fully tested now to make sure it’s all Mickey Mouse but all of it just got put on. With the TRP Gwin-spec brakes basically, the four pistons? It’s good to see some new manufacturers moving into the different segments there. Yeah, obviously I was a bit wary before we tried anything. I signed before I’d tried any of this stuff, I heard good reviews and started to talk toa lot of people. But until you actually try it you don’t know if you’ll be happy using it. But as soon as I used it I realised we were going to be fine here. How did it all feel at the VDHS on the weekend? Good. 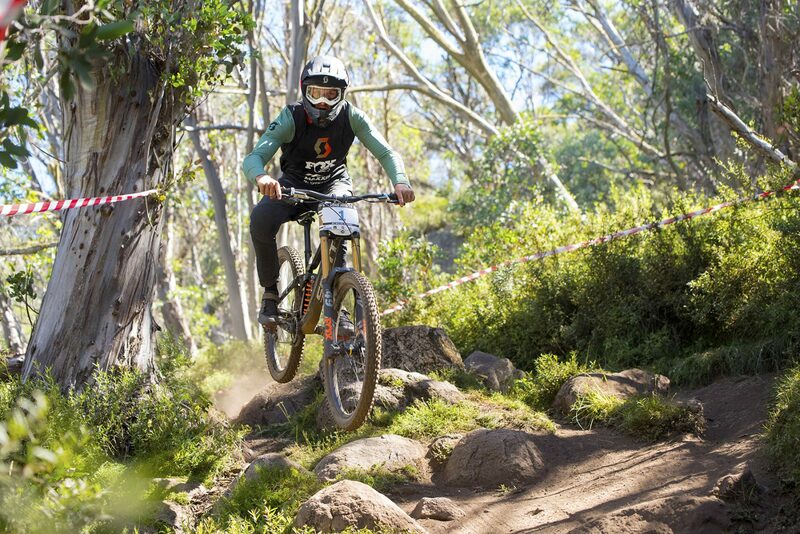 I always try and go to the Vic Downhill Series races. Some I’ve missed because I’ve been in America but this year obviously a change so I was able to go which was good. I’ve been wanting to do a track-walk with younger kids since the races at start of the year but obviously a bit hard with the pits at the bottom of the track. Fortunately Buller starts at the top so I did a massive track walk and invited a few people (laughs). I put a thing on Instagram for an invitation and I had about 35 people come along, a lot more than I expected. But it was good to see so many young kids that are actually willing to better themselves and see what they get out of it, so that was cool to do. I’ll be trying hopefully to do that more and more of the series and have more of an impact on the younger riders. There’s so many young kids in Victoria now coming up. I just try to get them some motivation and help guide them, that’s pretty much the biggest thing I’m trying to do with the Vic series races now, I obviously want to do well but I’m not overly concerned about the winning stuff anymore. Look at them more and just having fun and trying to help people out is the biggest thing. Yeah definitely there’s always a role of the ambassador for the sport. Yeah, I think even just in the last year or so I’ve kind of opened my eyes more to it to try and help. That’s where it all started for me anyway and I try and get across to younger kids that, you can start by racing the Vic series and then you can make it to Nationals and can make it to the World Cup where they can get it right. I think a lot of the time, if they haven’t been in the sport very long they wouldn’t have known that I’d come from that same spot that they are in now. They might looking at it as being out of reach, of being really far away and I can bring it back home that they’re not that far away. You keep at it and you will get there. Try and bring that across to them, which hopefully is coming across. We’re listening and working towards it. Well I think it also helps this year that all the National Cup Tier1 events are down in Victoria. Yeah yeah, I think it’s certainly a good thing and it’s run really well, it’s such a good event. Easy to go to and easy to deal with. Speaking of racing, you talked about doing Crankworx, are you going to be doing any EWS any other kind of events? No, I think that’s it. I was thinking about doing Derby but I don’t think with everything going on, I don’t really have the time to do it. I might try and get over there just to do some riding, just to go ride at Derby and Maydena but I don’t think I’ll actually be doing the race. Even with that, I think if I did that it’d take away from Crankworx a bit. I just want to focus on the Crankworx race. With training and everything, you fly over there to do the race you’re not actually doing that much riding. Just say I go to ride, I could ride all day every day but if you go to race you’re not actually getting as much out of it I find. Yeah. 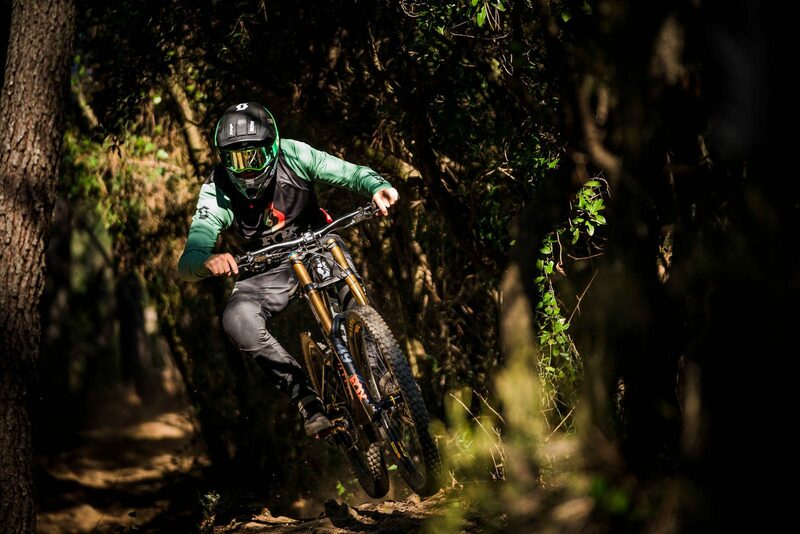 Leading into World Cups I’ve gotta be riding as much as I can, more than what I’d get racing enduro. It is really good training, it’s physical and hard. But it’s a bit tight at the moment so I think I’ll give it a miss. Fair enough. 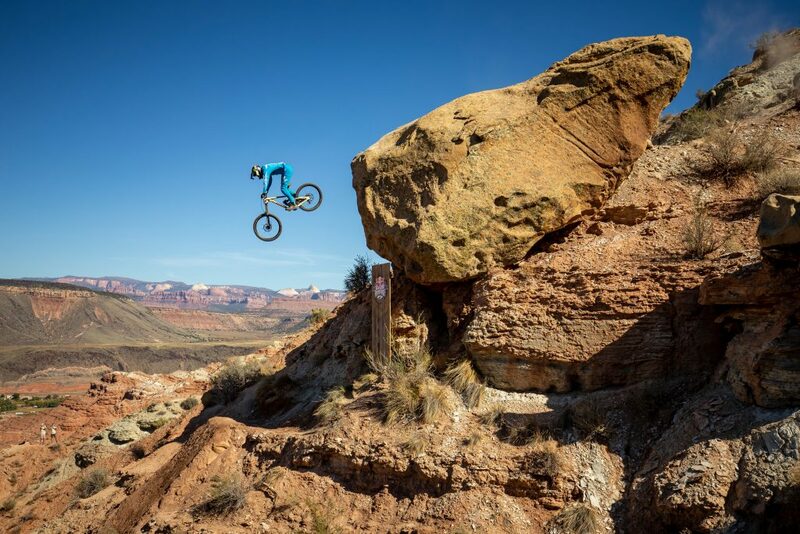 Now you’re racing with Brendan are you going to be getting any tips for Rampage? Ahh, don’t think so. Someone asked me that the other day on Instagram whether I was but I don’t think I’m ready for that yet. I don’t think I’d ever be ready for it so I’ll give it a miss ! I think Brendan’s going to be the guy that does media, backflips and hucks himself down hills but I’m just going to try and be the fast guy. Brendan at Rampage. Probably not for Dean. Pic Red Bull. Yeah, maybe i’ll just judge it. I judged Whip-off at Cannonball, and just drunk beers and judged whips all night. I thought I was the worst judge, so maybe I could just get good at that. Try to push him into making Deathgrip 2 and you can be a star inthat? I think he’s got four big films coming up this year, not sure if it’s going to be Deathgrip. I think they’re trying to work something where it’s like a Netflix series or something. They’ll be pushing for that which will be pretty cool if it gets across. Look forward to seeing that! Alright, last couple of questions here. 2018 season, full of changes: Pierron dominating, Maes almost becoming world champ, a new track in Croatia, some controversial rule changes. For you, a bit of a mixed bag. There was a third which was great and some injury, still a couple of the top 15 results to finish up in 18th overall. Talk us through it? At the start, I felt awesome and felt good. We did all the work. Came out swinging, got third. I honestly felt like I’d backed it off a little bit, I feel I could have won. It’s funny, I crossed the line, I got third, I was excited but at the same time shaking my head. Felt like I just let that one go. Dean at Losinj. Pic Red Bull. Came off of that, and went to Fort William and obviously had the injury and that just set me back for a while. That was a write-off, Leogang was a write-off, came home, back over and I still wasn’t 100%. I’d do my race run and feel tired and dizzy. It obviously takes a while for concussion to heal so I was just trying to deal with that for the rest of the race season. It definitely hindered me. Towards the end I started to find my feet again, at Mont-Saint-Anne I got a 10th which kick-started me again and got me back into the rhythm. Then I felt like I finished well, at Champs I think I ended up 12th. How I was riding, I could have been right amongst it. I know the times were really tight. I just need to pull my finger out again, I’m willing to work and it worked for me and I did better. So that was the biggest thing for me, it was just unfortunate with injury. That’s all part of it but I was happy with that. With the rule changes I didn’t think it was good, I thought if you qualified first you should go down last and obviously at Croatia that rule change came out straight away and I was the last man down which added a lot more pressure onto me. I’m glad I actually dealt with it pretty well, I’m happy since they are changing it back now, we’re going back to qualify first to go down last. If you’re the fastest man you should be the last person down. Overall it was a pretty crazy season and it was good to see a new guy (Pierron) come up and dominate so much. As you said, also crazy to see Maes the wildcard come in and do so well, I think that’s always good. I don’t always like to see the same person winning but it is cool when someone comes out of nowhere and does do it a few times, it definitely makes everyone have to pick up their game. Now I wonder if Maes will end up doing any more downhill this year? Yeah I’ve heard he’s interested in doing a few, it’s just deciding how many he does. He is a very fit rider and very skilled. Let’s see if he actually races more enduro or downhill, but he’ll be a hard man to beat if he is doing downhill. So for your 2019, what’s your focus? Where are you aiming to make improvements and is there any big events that you’re aiming for? I think this year I want to work of my endurance, I’ve got plenty of power but my endurance needs to get lifted up a bit. It always seems looking at my split times. I’ve often been in the top 10 at the first but might drop back a little bit to top 15 or so after that. So if I can sort that out and get a bit more endurance I think that’ll help me out a lot. The next thing is to then just have more fun. At the races,I felt like last year I had fun at the start and at middle it was a bit of misery. I was kind of sending myself out of a hole, so if I can have overall more fun racing my bike I’d be happier, go faster, be better and that’s really about it. Then I just want to be consistent in the top 10, weekend after weekend. I don’t want to fluctuate too much as a result and then a couple of podiums will just top it perfectly. Sounds like a good plan. Thanks for taking the time with to chat with us and best of luck for 2019.